This volume provides a detailed treatment of half-metallic materials and their properties from both an experimental and theoretical point of view. It discusses the methods used to understand and predict the properties of half-metals and the gamut of other materials amenable to these techniques. It also offers an expansive bibliography to facilitate further and deeper research. This book provides the precise definitions of all key terminology used in the vast and varied literature.This is the first comprehensive monograph on the subject and will serve as a starting point for graduate students and senior researchers who wish to enter the field. 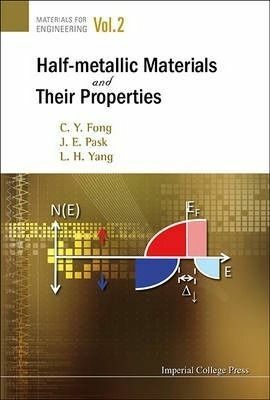 This book will also be an invaluable reference to those already working in the areaof half-metallic materials.